Mont Vert Belbrook, A seamless amalgamation of luxury, comfort and style blend to provide a truly sophisticated lifestyle. These Residential Apartments in Pune are beautifully planned keeping in mind the architecture which can soothe your senses whenever you step into your house after a tiring day from work. Mont Vert Belbrook by Mont Vert Luxury Homes in Bhugaon strives for customer satisfaction and believes in building world-class projects without compromising on quality standards, innovation and timely delivery. With well-ventilated apartments and uncluttered nature space, Mont Vert Belbrook makes you feel that every day is an excursion. Mont Vert Belbrook is one of the best investments in Residential properties in Bhugaon, Pune. The Apartments in Mont Vert Belbrook are strategically constructed keeping in mind excellent connectivity of public transport. 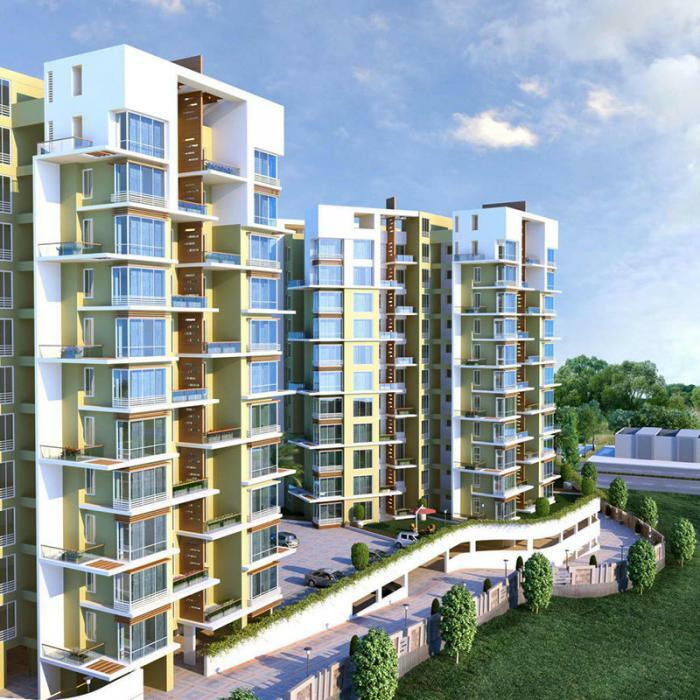 Mont Vert Belbrook presents 1.5 BHK, 2 BHK and 3 BHK Apartments in Pune. The price of Apartments at Bhugaon in Mont Vert Belbrook is well suited for the ones looking to invest in property at Pune. Amenities: Mont Vert Belbrook has been designed such that it includes all the world-class amenities such as Landscaped Garden, Community Hall, Swimming Pool, Gymnasium, Play Area, Intercom, Rain Water Harvesting, Lift, Club House, Car Parking, Fire Safety, 24Hr Backup Electricity, Eco Friendly, Air Conditioning, Multi-purpose Hall, Security and Solar Water Heating. Location Advantage: Mont Vert Belbrook is conveniently located at Bhugaon to provide unmatched connectivity from all the important landmarks and places of everyday utility such as hospitals,schools,supermarts, parks,recreational centers etc. We appreciate your interest in Mont Vert Homes. We've been building distinctive homes in Pune in beautifully developing communities for nearly 20 years, and we'd be honored to have you as our customer. We're committed to unparalleled service and exceptional quality. We work with you to make your house a home. Our philosophy of honesty and transparency has earned us the most valuable award - your faith and trust. We are proud to be recognized for our dedication to our customers-it's the reason we're Pune's leading builder of luxury homes. We believe excellence has a consistent nature. Certainly there are exceptional talents, but for the most part, excellence evolves from doing the right things, very well, over and over...a Mont Vert follows the best business practices in the construction industry. By adhering to these practices and honing them continually, we have built strong market positions, motivated employees and bulletproof balance sheets. Our success is a tribute to the diligence and determination of our employees and trust of our customers. Schooling for Laborers children run by an NGO supported by Mont Vert Homes during construction. Use of eco friendly construction materials to reduce carbon footprints. Review of Mont Vert Belbrook, Bhugaon? Its price, location, builder etc. Review of Mont Vert Homes, Bhugaon? construction quality, trustworthy, delivery history etc.? Review of Mont Vert Belbrook, Bhugaon location? neighbourhood, connectivity, schools etc.? Comparison of Mont Vert Belbrook, Bhugaon to nearby projects? Is it rightly priced? What is your feedback on this Mont Vert Belbrook, Bhugaon? Depends on brand name and complete the project in time etc? Will this be a better option for investment or to live in Mont Vert Belbrook, Bhugaon? Can you give some suggestion? Is the Mont Vert Belbrook, Bhugaon has more potential in terms of capital appreciation, ROI, Rentals, Proximity to social infrastructure etc? Mind Space Realty Pvt. Ltd.